The Fifty Best held a “blind” tasting of 16 aged rums with a panel of 17 judges. Strict tasting rules were applied. The order of service was established beforehand by lottery. 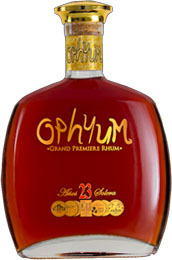 The rums were poured into fresh glasses from new sealed bottles, and served at slightly above room temperature. 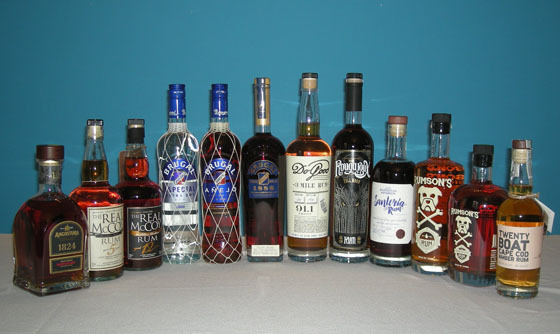 Each of the rums were judged and scored separately. Only ice water, neutral unflavored crackers and chips were available to cleanse the palate. Nose: Toffee, caramel, sugar cane, molasses, honey, vanilla, cream, apple, blueberry, orange, banana, pineapple, chestnut, cinnamon, clove, spicy, fresh-cut grass, bittersweet chocolate, coffee, oaky, earthy. Palate: Toffee, caramel, raw sugar, brown sugar, molasses, vanilla, chocolate, corn, cola, sherry, cherry, citrus-forward, orange blossom water, lemon, dried fruit, brown rice, eucalyptus, yum, mouth-watering, a Dominican beauty. Finish: Burnt sugar, vanilla, clean fruit, dried fruit, allspice, cinnamon, clove, spicy, coffee, smooth. Nose: Toffee, caramel, brown sugar, sugar cane, maple syrup, honey, vanilla, cream, fruit, dried fruit, cola, sweet sherry, nutty, clove, cinnamon, tobacco leaves, toast, oak. Palate: Toffee, caramel, molasses, dark sugar, sugarcane, maple, vanilla, creamy, custard pudding, world’s finest rich fruitcake, raisins, dried fruit, sherry, nutty, filberts, allspice, matcha tea, concentrated toast, spearmint, wet rocks, wood, oak, smoky, rich, classic. Finish: Toffee, vanilla, baking spices, bread, oak, soft wood barrel, smooth, great, elegant. Nose: Caramel, molasses, sugar cane, maple syrup, vanilla, coconut, raisins, almonds, walnut, nutty, cocoa, coffee. Palate: Toffee, nougat, brown sugar, molasses, burnt sugar, sugar cane, honey, vanilla, creamy, butter, chocolate, cocoa, cola, cherry, raisins, dried fruit, mildly floral, clove, oak, a Dominican rum that drinks Trinidadian, rich, the right balance, classic. Finish: Toffee, caramel, molasses, demerara sugar, vanilla, very smooth, rich, flavorful, elegant. Nose: Caramel, cream, molasses, cane sugar, vanilla, buttered popcorn, cherry candy, tropical fruit, banana, cantaloupe, melon, apricot, lemon, raisin, Thai red tea, mint, clove. Palate: Toffee, caramel, butterscotch, creamy, dark chocolate, hard candy, honey, molasses, brown sugar, sugar syrup, vanilla, prunes, citrus, orange liqueur, ginger, floral, eucalyptus, almond, hazelnut. Finish: Butterscotch, dark toffee, chocolate, maple syrup, honey, vanilla, orange, light peppermint, stone fruit, cherry, nice balance. Nose: Butterscotch, caramel, rum toffee, demerara, dark sugar, blackstrap molasses, maple syrup, vanilla, roasted coconut, dried fruit, toasted nuts, leather, bacon, oak, woodsy, burnt toast, smoky, earthy. Palate: Toffee, caramel, dark sugar, sugarcane, molasses, caramelized apple, tropical fruits, vanilla, chocolate, toast, tea, slightly grassy, green leaves, dried leaves, nutty, cinnamon, clove, nutmeg, allspice, spicy, pepper, sherry, leather, tobacco, mahogany, pine, smoky, earthy, pleasingly dry. Finish: Toffee, honey, cherry, raisins, buttery, floral, nutty, allspice, nutmeg, tobacco, leathery, smooth, musty, spicy, nice wood, dry, complex, flavorful. Nose: Toffee, butterscotch, caramel, brown sugar, molasses, maple syrup, vanilla, coconut, banana, lychee, tart cherry, lemon, fruity, rose petals, grassy, green leaves, walnut, nutmeg, pepper, sweet spice, oak, pine, brightness. Palate: Toffee, caramel, creamy, sweet molasses, sugar, honey, light sugar cane, vanilla, cherry, sweet potato, eucalyptus, cinnamon, thyme, nutmeg, spicy, tea leaves, dry sherry, leather, wood, smooth. Finish: Caramel, demerara sugar, vanilla, candied lemon, apple, nutty, coffee, sherry, licorice, spicy, honey-like softness, oaky, semi-dry, smooth. Nose: Caramel, molasses, maple syrup, brown butter, chocolate, vanilla, orange, citrus, fig, blossom, floral, jasmine, lavender, dry green leaves, wheat, oak. Palate: Butterscotch, toffee, white toffee, caramel, treacle, brown sugar, maple syrup, honey, creamy, butter, vanilla, raisin, apple, apricot, orange, guava, mango, tropical fruit, ginger, perfume, clove, pepper, hot pepper, spicy, cereal, hazelnut, coffee, tobacco, oak, dry. Finish: Toffee, butterscotch, buttery, sweet marzipan, pineapple, figs, dried fruit, nutty, licorice, grassy, mint, basil, vegetal, slight tobacco, clean, soft. Nose: Toffee, butterscotch, buttery, creamy, Drake’s coffee cake, honey, molasses, vanilla, cherry, apple, ripe banana, dried fruit, grass, spice, nutmeg, wood barrel, smoky. Palate: Toffee, caramel, maple syrup, molasses, sugarcane, honey, vanilla, sweet cream, baked apple, coconut, orange, lemon, banana, raisins, dried dates, bananas Foster, marzipan, elderflower, white flower, grass, eucalyptus, tea, hazelnut, cinnamon, leather, oak, pine, tobacco, sherry. Finish: Vanilla, sugar cane, slightly tart cherry, citrus, dried fruit, floral, mint, hazelnut, walnut, spices, peppery, earthy, leather, wood, smooth, soft. Nose: Toffee, muscovado sugar, sugarcane, blackstrap molasses, treacle, vanilla, marmalade, peach, citrus, eucalyptus, grassy, allspice, sherry, leather, sweet tobacco, wheat, woody, pine, oak, American oak, complex mix of old oak, earthy. Palate: Butterscotch, toffee, caramel, treacle, vanilla, summer fruit, apricot, prune, mango, banana, dried fruit, dried herbs, mint, hay, allspice, clove, mixed spices, spicy, grassy, coffee, leather, burnt toast, wood, oak, charred oak. Finish: Honey, treacle, vanilla, candied and dried fruit, melon, pineapple, sherry, leathery, nutmeg, tobacco, woody, smooth. Nose: Caramel, sugar cane, brown sugar, vanilla, lemon, papaya, coconut, corn, malty, spice, grass, earthy, oak. Palate: Caramel, molasses, honeycomb, vanilla, pineapple, coconut, lime, dried fruit, cola, sweetened grain, meringue, cinnamon, oak. 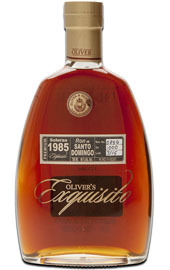 Finish: Molasses, brown sugar, honey, vanilla, light wood, clean, very soft, smooth, gentle, very fine, rich, elegant. Nose: Butterscotch, treacle, molasses, sweet candy, chocolate, vanilla, banana, pineapple, apricot, coconut, apple, green apple, citrus, floral, grass, leather, toast, pine, smoke. Palate: Toffee, caramel, butterscotch, demerara, burnt sugar, honey, vanilla, sweet candy, bright candied fruits, raisin, banana, pineapple, grapefruit, green apple, coconut, elderflower, almond, tea leaves, licorice, wintergreen, lemongrass, grass, leather, pine. Finish: Honey, cream, orange, citrus, peach, strawberry, fruity, cola, coffee, hazelnut, spicy, leather, woody, piney, smoky, smooth, bright. Nose: Toffee, butterscotch, powdered sugar, cane sugar, honey, vanilla, chocolate, dried fruits, marzipan, blossom, light roasted nuts, nutmeg, spicy, leather, oak. Palate: Toffee, caramel, creamy, molasses, chocolate, buttery, honey, vanilla, banana, mango, raisin, rose, tea, mint, grassy, eucalyptus, peppermint, peppery, nutmeg, cinnamon, tobacco, leather, cedar, oak, smooth. Finish: Butterscotch, toffee, honey, vanilla, berries, raisins, green apple brightness, grassy, anise, clove, allspice, peppery, light leather, tobacco, smoky, nice, smooth, mellow, flavorful. Nose: Vanilla, clotted cream, light molasses, tropical fruit, banana, pear, citrus, baked apple, apple skin, dried fruit, herbal, light hay, sweet tea with lemon sugar, toast, wheat, wet wood, piney. Palate: Toffee, caramel, fudge, treacle, honey-like, vanilla, crème brulee, banana, lemon peel, papaya, raisin, roasted almond. herbal, peppermint, mint, anise, licorice, clove, cinnamon, sharp nutmeg, white pepper, coffee, manzanilla sherry, leather, wheat, hay, wood, pine, dusty oak. Finish: Honey, dried fruit, sweet marzipan, fruity, citrus, floral, tarragon, clove, peppery, spice, dry sherry, coffee, leather, pine, oak, woody. Nose: Caramel, demerara, sugar cane, green apple, pineapple, orange, citrus, herbal, tea, grass, hay, cinnamon, peppery, coffee, dry cereal grains, toasted wheat, toasted bread, tobacco leaf, earthy, leather, cured meat, bacon, Polish ham, smoky. 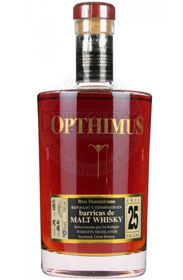 Palate: Butterscotch, caramel, toffee, chocolate, molasses, light brown sugar, sugar cane, vanilla, orange, bright citrus, green apple, papaya, guava, cantaloupe, tropical fruit, honeysuckle, sherry, rose, nutty, cinnamon, spicy, peppery, tobacco, sweet cigar, pine, briny, well blended. Finish: Brown sugar, honey, vanilla, fruity, sherry, citrus, floral, mint, pepper, coffee grains, nutty, oak, wood, minerals, complex, bright, full-flavored. Nose: Caramel, treacle, cane sugar, light molasses, honey, cream, vanilla, apple, banana, coconut, dried fruit, red wine, green grass, leafy, oak, wood. Palate: Fudge, caramel, molasses, honey, apple, apricot, bright citrus, orange, orange peel, lemon zest, pineapple, coconut, prune, raisin, dates, figs, dried fruit, sherry, herbal, mint, spice, nutmeg, clove, oak, crisp, balanced. Finish: Maple, rye, coffee, leather, light spice, licorice, clove, grassy, pine, oak-like, smoky, smooth, pleasant, well-balanced. Nose: Vanilla, buttery, marzipan, cane sugar, hint of sugar, apple, apple skin, banana, citrus, blossom, herb, juniper, grass, hay, clean. Palate: Toffee, treacle, caramel, vanilla, molasses, cane sugar, apple, green apple, white grape, coconut, dried papaya, floral, herbal, mint, hay, nutty, nutmeg, spicy, peppery, clean, dry. Finish: Vanilla, sweet cream, creamy, sweet and sour, biscuit, floral, mint, minerals, nutty, woody, smoky, off dry.